Many people lost power during Hurricane Irene. Without power your sump pump cannot funcion. If you have a battery backup on your pump, it can keep you dry for a time. How long will the battery last during usage? The estimated life of a fully charged (175 minute reserve capacity) battery when the pump is operating continuously is approximately 7 ½ hours. Example – The model 510 at 10 ft. head will pump 1,296 GPH. Most backup systems require intermittent pump operation. All models will provide protection for extended periods of time dependent upon stop-start requirements. 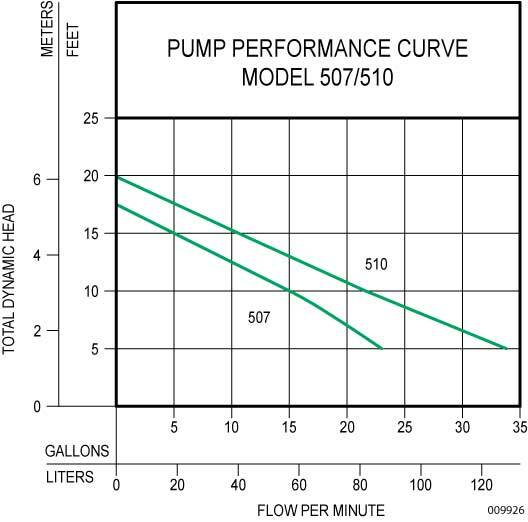 Note: The 510 offers extended backup protection if the regular primary sump pump fails. Pump performance is based on the use of a fully charged 12 Volt, (200 minute reserve capacity) for models 507 and 510, deep-cycle battery with no deficiency and less than two years old. The pump can last for a while but it is worth checking the water level inside the battery and keeping the water level topped up. The instructions that come with the system provide instruction on how to do this safely. Since their comments about how long the battery should last mention a less than 2 year old battery, it would stand to reason that replacing the battery every 2 years should be standard practice. When we install the backup pump, we can put you on our calendar and try to contact you in 2 years to remind you to replace the battery.